In a world of iPhones and connectivity to social media and email, we are all in constant connection with one another. Then why are so many people feeling burned out, distant from colleagues, and abandoned by family and friends? In this new book from the best-selling author of Running with the Mind of Meditation, the Sakyong uses the basic principles of the Shambhala tradition - meditation and a sincere belief in the inherent wisdom, compassion, and courage of all beings - to help listeners to listen and speak more mindfully. A leading psychologist examines how our popularity affects our success, our relationships, and our happiness - and why we don't always want to be the most popular. 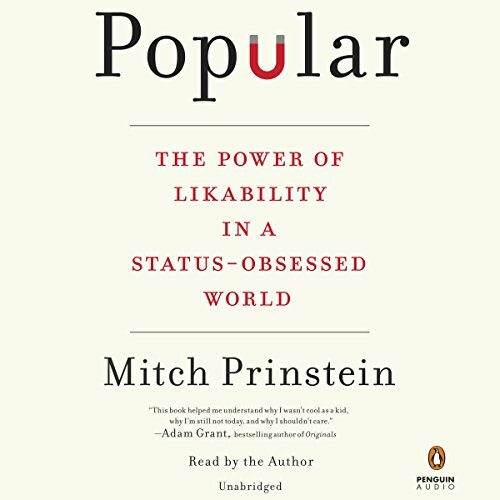 Popular examines why popularity plays such a key role in our development and, ultimately, how it still influences our happiness and success today. In many ways - some even beyond our conscious awareness - those old dynamics of our youth continue to play out in every business meeting, every social gathering, our personal relationships, and even how we raise our children. Our popularity even affects our DNA, our health, and our mortality in fascinating ways we never previously realized. More than childhood intelligence, family background, or prior psychological issues, research indicates that it's how popular we were in our early years that predicts how successful and how happy we grow up to be. But it's not always the conventionally popular people who fare the best, for the simple reason that there is more than one type of popularity - and many of us still long for the wrong one. As children we strive to be likable, which can offer real benefits not only on the playground but throughout our lives. In adolescence, though, a new form of popularity emerges, and we suddenly begin to care about status, power, influence, and notoriety - research indicates that this type of popularity hurts us more than we realize. 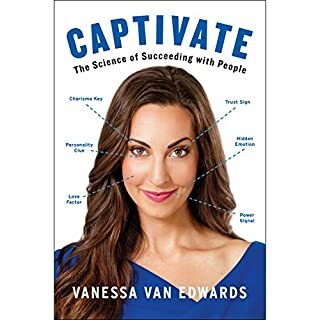 Realistically, we can't ignore our natural human social impulses to be included and well regarded by others, but we can learn how to manage those impulses in beneficial and gratifying ways. Popular relies on the latest research in psychology and neuroscience to help us make the wisest choices for ourselves and for our children, so we may all pursue more meaningful, satisfying, and rewarding relationships. Incredibly well-researched and narrated, Popular provides a redefining narrative and retrospective from childhood likability to the adolescent popularity of power. Prinstein demonstrates how the adolescent popularity centering around power, status, notoriety, and influence hurts more than previously realized by psychological researchers. This book will help parents as they guide children. I wish there was more information about the effect of popularity in the workplace. Very healing and insightful book. I found his summary of the 5 types of people (average, controversial, neglected, rejected, and popular) to be extremely useful. The difference between status and likability and what that means for our futures is also very applicable to every day. 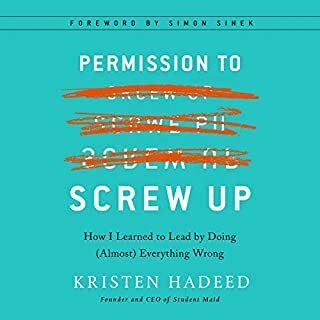 As someone who earlier in life alternated between neglected and rejected, and who now has moved into an average or even popular position, it makes sense that I still mess up, and I can see how I mess up more clearly with this book's help. Also I can see why I often feel a need to seek status (which I've learned isn't healthy). I can also see why I often feel so insecure in my position, like my friends could abandon me. It's all training from early life (which is guessable, but you might not guess that is changeable). Hearing the stories makes this all so obvious to me. It's nothing to fret over, it's natural and possible to overcome. I can feel an internal shift of truly believing this in my deepest core. And that is a relief. 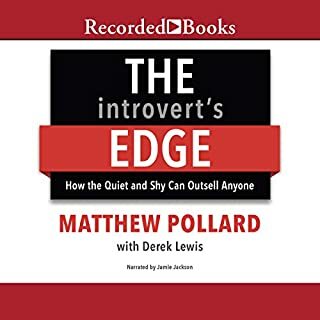 It is a shorter audiobook, which I prefer so I can move onto the next topic. Yet the information isn't the most dense even given the short length, I listened at 2.5x speed most of the way through. 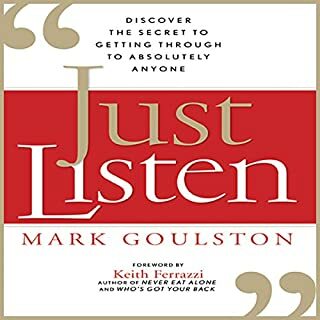 I am very glad I listened and very grateful to the author and for the audiobook production team for making this book available in such a digestible format. Listening to this book is likely to change my life tbh. 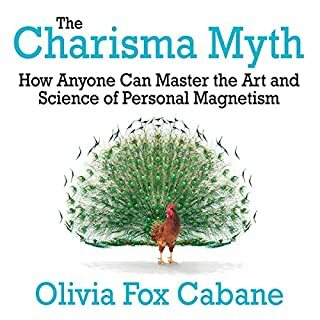 This book is super insightful in explaining how/why we gravitate towards some people and not others and how we can be more likable and balanced. The book highlights my own adolescent challenges and successes and provides useful information to help me guide my children through their childhood. if you don't get along with people, you need to read this and you need to read it now. There’s a lot of good information in this book, and lots of things that make you think. Lots of good evidence-based conclusions about popularity. The thing that I kept waiting for that never happened was the concrete examples of how to become more likable. Maybe I was just looking for a list that wasn’t there? So much of the evidence seems to draw really negative or depressing conclusions about how your entire existence is based on how popular you were in high school. OK, I buy it, but where are the concrete action steps to move past it and create a better future? I don’t necessarily struggle with this myself. I consider myself a fairly likable person, but the book overall just seemed a little depressing. There were good suggestions on parenting tactics. Thank goodness my kids were the age examples he talks about in the book. But there were no examples of how to course correct if you had maybe done it wrong in the first place. What if someone’s children were older than early elementary age? What should they do? The book kind of seemed to create more questions than give answers… I did enjoy what it had to say, it just felt like a huge chunk of information was missing. Insight, understanding, and guidance galore. Opens your eyes to many social behaviors that have been running under the radar. Gives Understanding to social behaviors you have pondered and Guidance in improving your social likability . Insightful and builds on what we all kind of know intuitively. Which is what makes it even better, it helps bring us back to our foundation in building stronger and meaningful human connections. If only there's was a sequal. 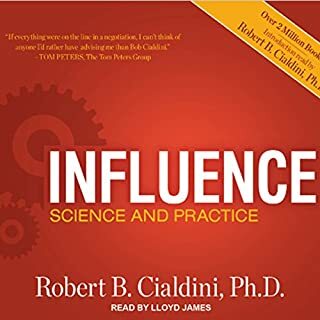 - I'm nauseous of hearing over and over again "studies suggest that..."
Full of fascinating statistics and studies, this book covers the in’s and outs of social interactions in an engaging way. 10/10, a great read!